Just about anyone from beginner to expert paddler can find their little slice of whitewater heaven on the Trinity River. 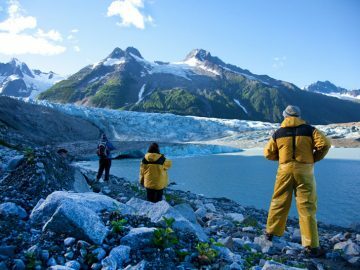 On the Lower Trinity, you’ll find easy floating and wildlife viewing in a pristine wilderness area. Step up from there, and the most popular Class II-III Pigeon Point Run offers a bit more excitement with its big, rolling rapids that are ideal for families and first-timers. Finally, the Trinity’s Burnt Ranch Gorge, which boaters previously thought was unrunnable, offers the most extreme whitewater conditions with a number of Class V rapids, including Burnt Ranch Falls, a series of three Class V rapids. So, pick your poison and watch out for Bigfoot as you explore this remote river canyon in the northwestern corner of California. If you’re in search of some of the most challenging whitewater in California, the Cal Salmon River, which flows through California’s Coastal Range in the Trinity Alps, should be at the top of your list. 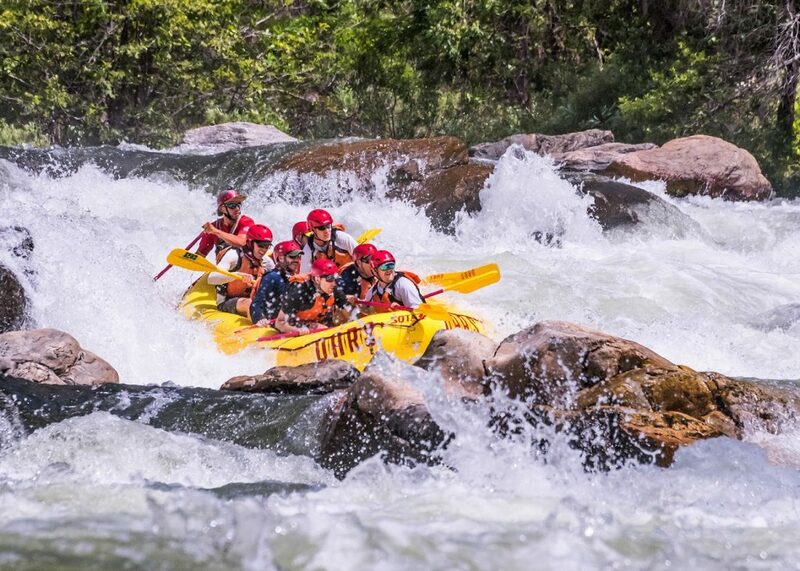 The most popular trip on the Cal Salmon is the approximately 10-mile Nordheimer Run, which dishes out back-to-back Class IV+ rapids, interspersed with Class V doozies like Cascade, Last Chance and the big finale, boulder-strewn Freight Train Rapid. Considered an expert run, you should have ample experience before attempting to raft this steep, remote and incredibly scenic river. In the far northwestern corner of California, you’ll find the Klamath River, one of the first rivers to be granted National Wild & Scenic status. From Oregon, the picturesque river winds its way through both the Cascade and Coast Mountain Ranges, providing ample recreational opportunities, before flowing into the Pacific Ocean. 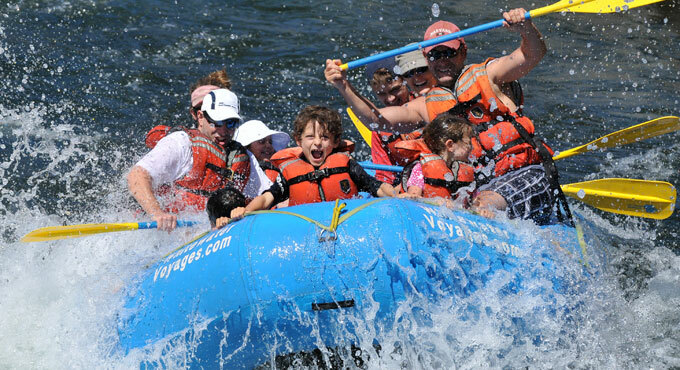 And while the Upper Klamath River offers more adventurous whitewater, it’s the Lower Klamath River that is ideal for first-timers and families with young kids. Most people run a Class III section of the Lower Klamath River from Happy Camp, CA to the Green Riffle take-out, but for complete solitude, incredible birdlife and bouncy, easy Class II rapids suitable for the littlest rafters out there, you can run the approximately 18-mile stretch from the Sluice Box put-in back to Happy Camp. Regardless of which stretch you choose though, the Klamath’s signature warm waters may make swimming, rock jumping and beach time the highlight of this adventure. 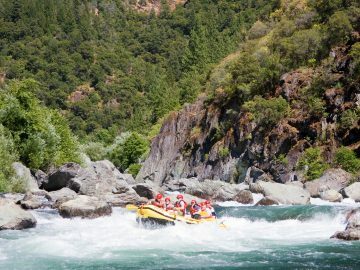 One of the best spring rafting trips in California, the free-flowing North Fork American River located in between Sacramento and Lake Tahoe also offers idyllic Sierra Nevada beauty. 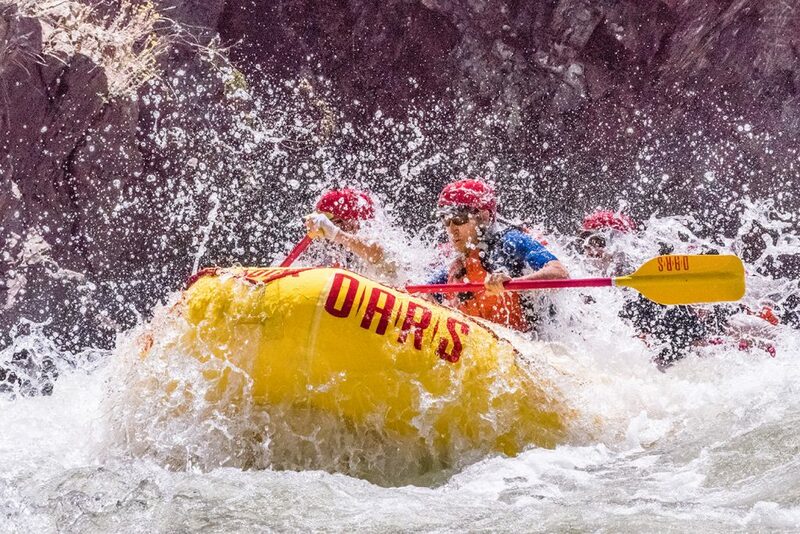 Flowing untamed through a beautiful forested gorge with 2,000-foot cliffs, the emerald green waters of this Wild & Scenic River deliver rapid after Class IV rapid of nearly non-stop white-knuckle whitewater, followed by a stretch of more gentle Class II-III rapids. 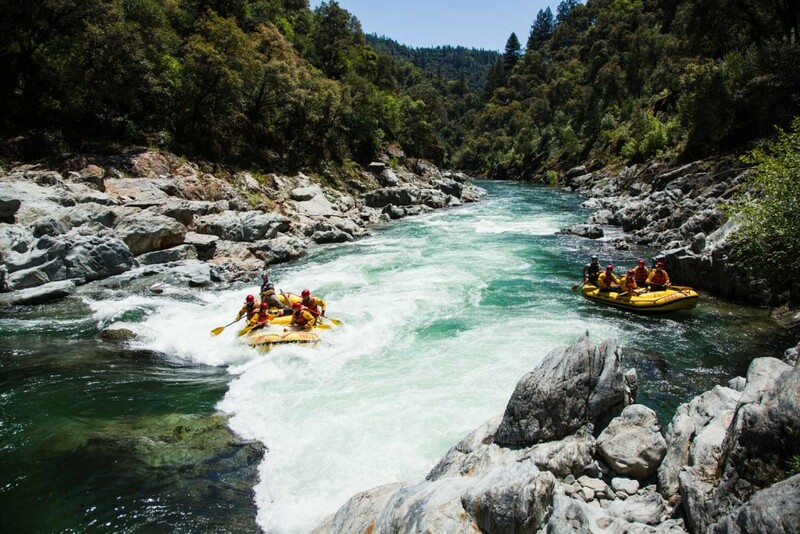 With intricate boulder gardens, rushing falls and staircase drops, this 10-mile stretch of California whitewater rafting promises intense paddling and plenty of adrenaline-inducing thrills for adventurous paddlers looking for a good challenge. In the mid-1800’s miners came to the Middle Fork American River in search of gold, but today it’s all about the ultra-exciting whitewater. Plenty of remnants of mining history still remain throughout the river canyon though, including one of the most unique rapids anywhere—Tunnel Chute. Formed when miners blasted a tunnel through the side of a cliff to divert water, this spicy rapid drops you six feet before whisking you through a 90-foot-long tunnel. From there, paddlers enjoy more exhilarating whitewater followed by a stretch of calm water that gives you a chance take in the beautiful pine-covered wilderness before ending the day with another stretch of fun, splashy rapids. 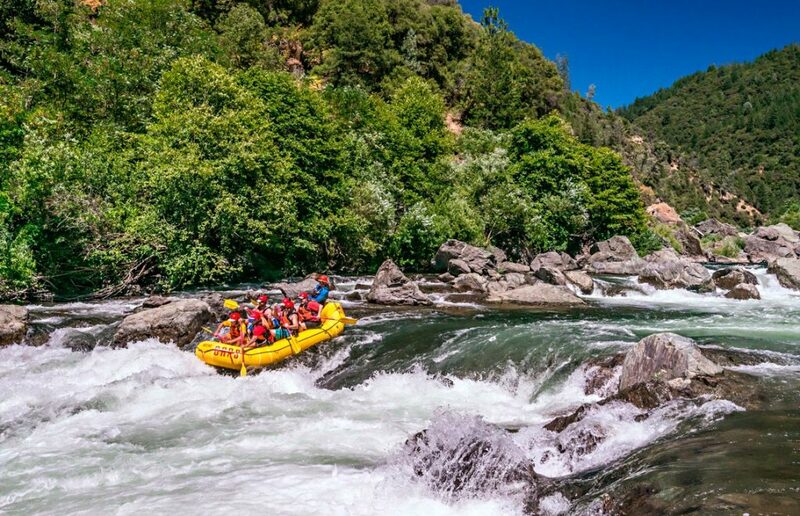 This 16-mile river trip near Auburn, CA, a little over two hours from the Bay Area, has it all: big whitewater, incredible scenery and moments of serenity, which is why it gets the title of best rafting near San Francisco. Everyone loves the South Fork American River near Sacramento. 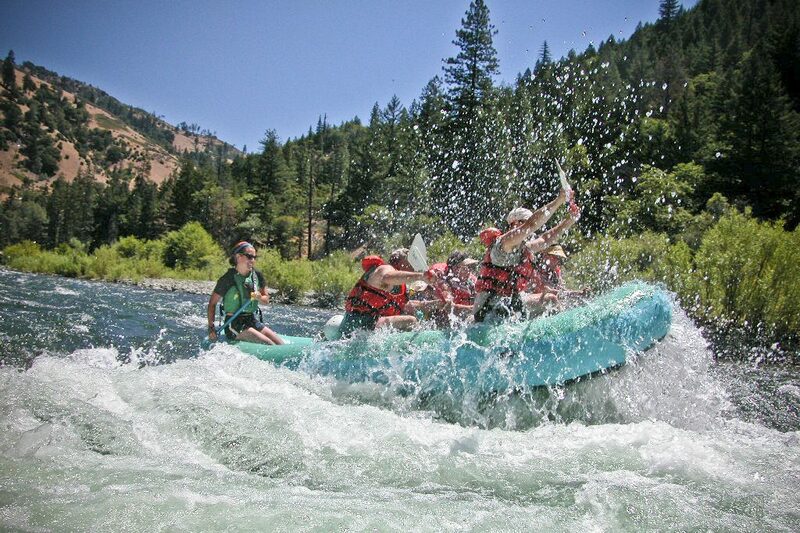 Whether it’s a family outing, a team building event for work, or just a hot summer day with friends, the splashy Class III whitewater on California’s most popular rafting trip is pure fun. 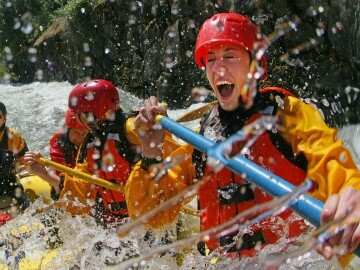 Plus, with 21 miles of whitewater, you’ve got options. 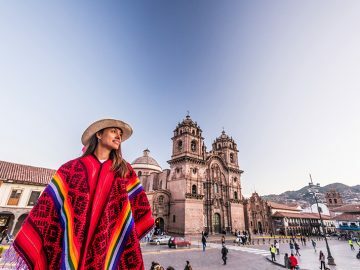 For a ½-day trip you can run the upper Chili Bar stretch which has approximately nine named rapids and plenty of time in between for swimming. Or, there’s the lower Gorge run where you can warm up on some Class II whitewater before the river narrows a bit and paddler’s challenge some of the South Fork’s more rowdy rapids like Satan’s Cesspool and Hospital Bar. 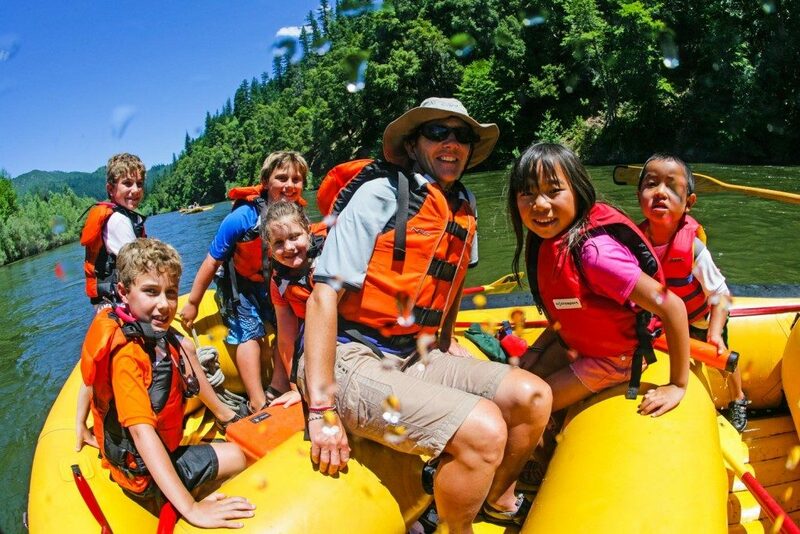 You can pick one, or do both back-to-back, but either way you’ll want to come again and again, because South Fork American River rafting trips never get old. 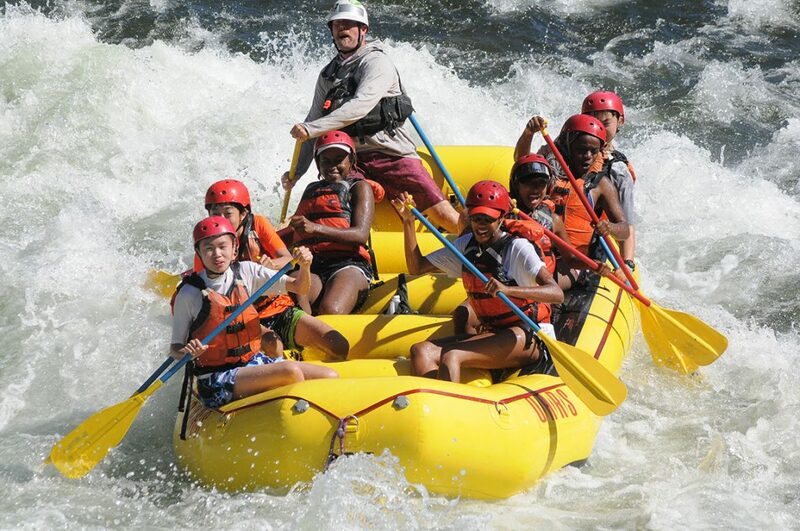 Spilling from the highlands of Yosemite National Park, the Wild & Scenic Tuolumne River is often considered California’s premier whitewater rafting trip. 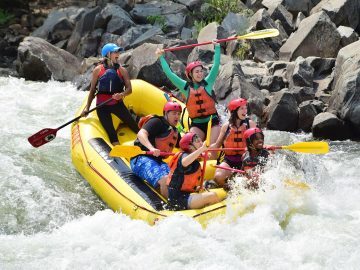 Though not the biggest or most difficult whitewater in the state—that title goes to the Cherry Creek run on the Upper Tuolumne—the 18-mile stretch of nearly non-stop Class III-IV whitewater from Meral’s Pool to Ward’s Ferry is not to be taken lightly, especially during high-water spring trips. 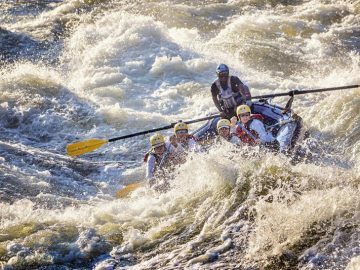 Paddlers can expect technical and challenging rapids, including intricate boulder gardens, narrow chutes and big drops like notorious Clavey Falls, where rafts plummet eight vertical feet over a dramatic series of staircase drops before having to dodge a boat-munching hole at the bottom. 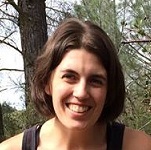 And while this action-packed trip can be done in a single day, it’s worth spending another day or two exploring the hidden wonders of the Tuolumne River, like its spectacular side streams that lead to waterfalls, secret swimming holes, and natural waterslides. Originating high in the Sierra Nevada, the Wild & Scenic Merced River tumbles and meanders its way through Yosemite National Park. 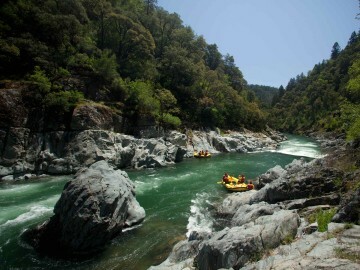 And while you won’t find any whitewater rafting within park boundaries, just past Yosemite’s Hwy 140 entrance, paddlers can hop on a raft and enjoy the Merced’s rollicking whitewater and some of the best rollercoaster wave trains anywhere. On early-season trips during peak snowmelt (typically April to mid-June), the free-flowing river offers 18 miles of huge, splashy wave trains and thrilling Class IV whitewater, including memorable rapids like Ned’s Gulch, Split Rock and Corner Pocket. 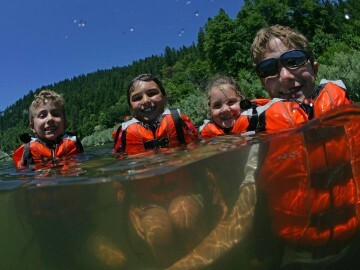 As the snowmelt subsides, the river mellows to a fun, Class III level that’s typically more suitable for first-timers and families well into July. The scenery doesn’t disappoint either, especially in the spring when the rugged canyon is blanketed with wildflowers. 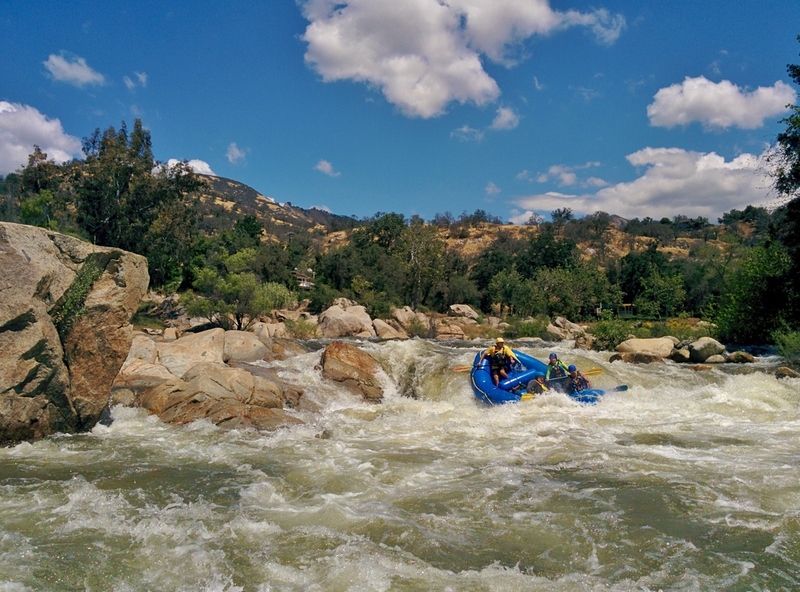 Sure, Northern California may be a bit more spoiled with its whitewater options, but if you’re looking for the best rafting near Los Angeles, the Lower Kern River is a blast. Flowing from the Southern Sierra before entering Lake Isabella, the dam-controlled Kern’s flows fluctuate depending on water releases, which often means paddlers can expect more challenging whitewater in the early spring and reliable flows into the summer months. 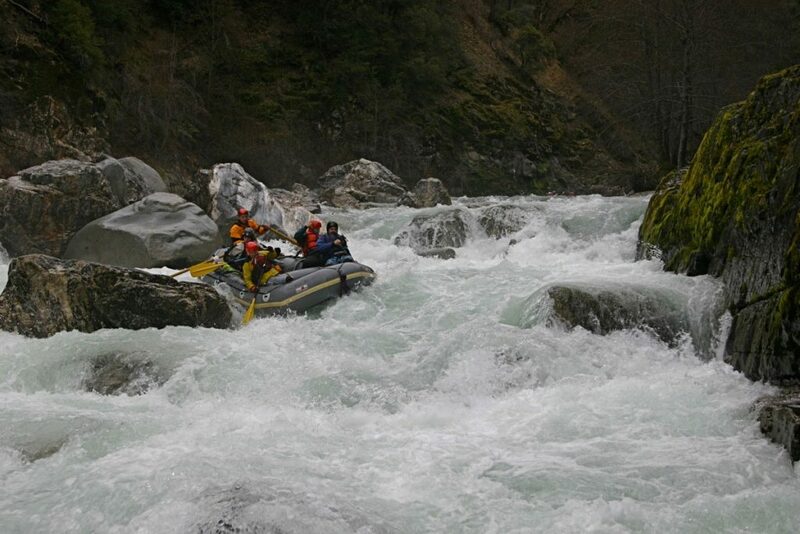 The Lower Kern’s Jungle Run offers 8 miles of Class II-III whitewater at normal flows before ending at Miracle Hot Springs, while the Miracle run is more challenging Class IV whitewater. The best part? You can combine the two stretches for a two-day wilderness adventure and escape from the city. 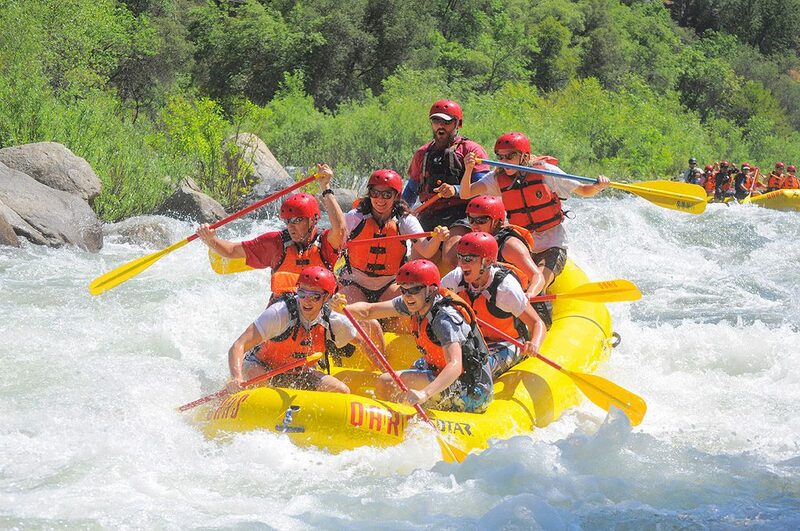 Flowing from the peaks of Sequoia National Park, the Kaweah River is one of the steepest river drainages in the country, and as a result, has some of the best whitewater rafting in California. But you have to time it right. 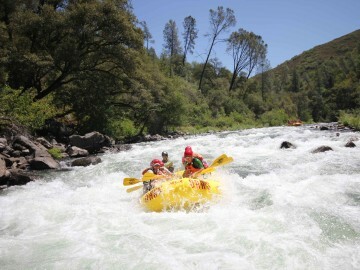 Since the Kaweah is free-flowing before it reaches Terminus Reservoir, you have to catch this thrilling spring rafting trip during the peak snowmelt window which is typically April through June. While expert paddlers can challenge the upper 6-mile stretch just outside of the park boundaries, most people run the lower section with offers approximately 10 miles of technical Class IV+ whitewater filled with powerful hydraulics, narrow chutes, river-wide ledges and plenty of boulder-filled obstacles.